The Model RTT15 is available from Foxboro by Schneider. It is a microprocessor based temperature transmitter with HART, FOUNDATION Fieldbus H1, or Profibus PA Communication Protocol. 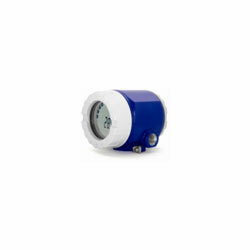 It receives input signals from thermocouples, RTDs, ohm, or millivolt sources. It is available as a basic module, or in numerous housing configurations. HART version allows average or difference measurement; Fieldbus/Profibus version allows average, difference, or redundant measurement. Galvanic isolation for both input and output. Basic module can mount to surface or DIN rail. Wide selection of bare sensors and thermowells. FOUNDATION Fieldbus with an LAS (Link Access Scheduler), PID (Proportional, Integral, Derivative) function block, and FISCO/FNICO Protection.